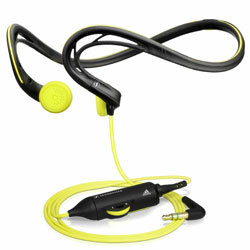 Portable audio players are a boon to gym-goers and runners who want to use music to motivate them. Unfortunately, their headphones often aren’t up to the task. Poor fit and motion can mean the need for constant adjustment. Sweat or rainwater can seep into the speaker enclosures, killing the sound with an electrical short. And sub-freezing temperatures can make the cables brittle (OK, let’s say you left them in the car). 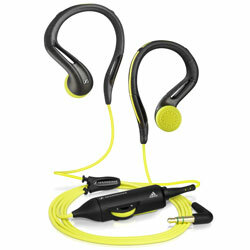 The Sennheiser/Adidas line of sports earphones addresses all of these problems with clever design and engineering and a style for every taste: Earbud (MX 680), around-the-neck (PMX 680), over-the-ear (OMX 680) and an in-the-ear canal model (CX 680). All are water resistant enough that they can be rinsed clean under a faucet, their cables are wrapped in Kevlar to remain flexible at temperatures as low as -10 degrees Celsius and—perhaps most important—each features a design innovation intended to make it easier to wear while exercising. 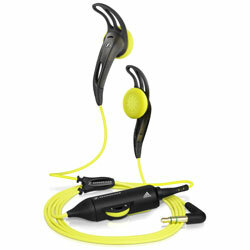 The earbud and in-ear models feature an unusual “EarFin” that extends from the top of the loudspeaker to keep the earphones stable. Various sizes of EarFins are included to accommodate different ear sizes. Meanwhile, the over-the-ear model features flexible ear clips that can be molded for a better fit, and the neckband model has just one cable extending from the left loudspeaker only, to offer more freedom of movement while running or during workouts. Another smart touch: All the standard cables are short, to be less intrusive when the portable audio player is worn in an armband case, and an included extension cable features an in-line volume controller module with a clip on the back that keeps the cable from swinging in motion. Well, earphones and sports…it is an issue. I used tape to keep the phones in my ears years ago. They have improved, but I wouldn’t spend much money just because of the brand. 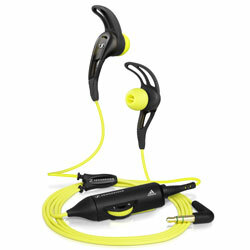 There are tons of no-name earphone products for far less money.